Local singer and songwriter John Stanley presented an $852.72 donation to Hope Haven after performing a series of shows at local eateries. "I got a message from Hope Haven that they really needed food and supplies, so I donated a box of food myself then decided to go one step further and put on a few performances in San Pedro and see if I could do even more for this great organization." “I want to thank The Dive Bar, Crocs, Crazy Canuks, Average Joe’s, and Sandy Toes for hosting this fund drive and supporting me in my efforts.” John Stanley has been performing in San Pedro for the past two years. He plays a variety of music that includes rock and roll, reggae and country music. He also performed many songs from his upcoming CD, “Rivers, Rocks, and Rain” which is scheduled for release later this year. “It was great to see how generous both tourists and locals were at these shows. 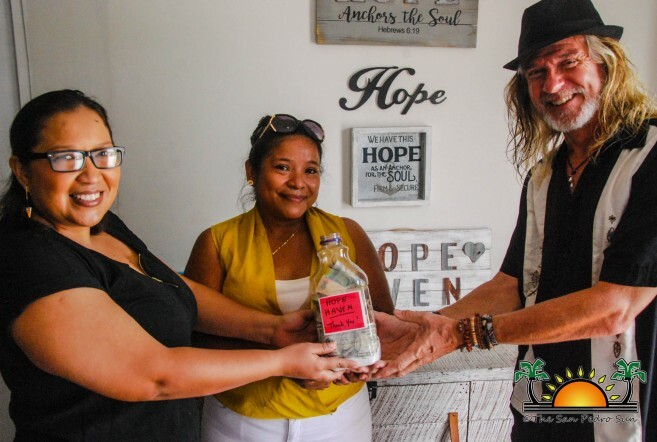 I can’t thank them enough, and it’s going to a great cause.” Hope Haven provides food, shelter and a safe place for at-risk women and children in San Pedro. Recently they have been helping local families that have lost their homes to fires. 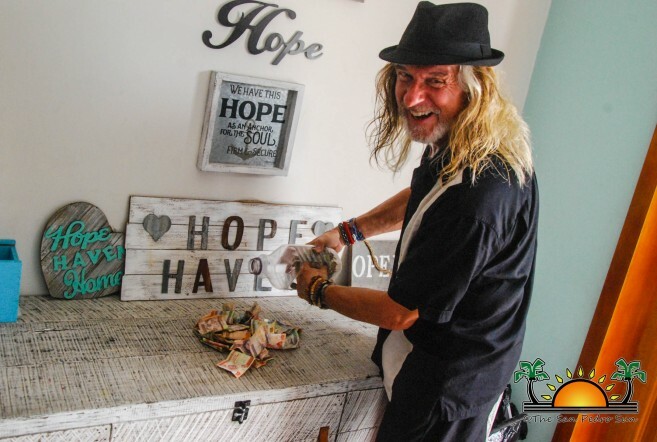 Donations can be made directly at their location across from the airport or online via their Facebook page or at their website, www.hopehavenbelize.com.